PICHON MANURE SPREADERS, A NEW SPREADING CONCEPT. This range of muck spreaders is especially designed for farmers and contractors who are looking for a unique heavy-duty construction machine. 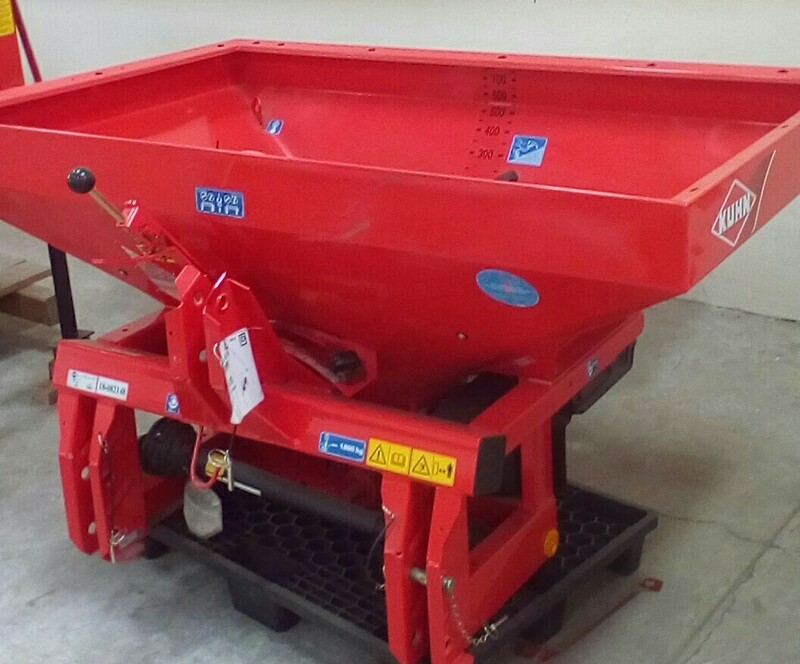 Pichon makes the significant choice to manufacture their spreaders using a unique and innovative design of a narrow body. The main idea of this body design is to find a good compromise between width and length while keeping a high rear frame and oversized beaters in order to ensure the regularity of the spreading. This body shape also enables the use of high diameter wheels reducing the requirements of towing power. As is tradition with PICHON, the muck spreaders range is fully manufactured with galvanised steel. The spreaders are entirely adapted to cope with the most compacted materials, thanks to a unique robust design and system of vertical twin beaters. The unequalled diameter, the height and the incline of the Pichon beaters give the muck spreaders the capability to spread multiple products in various working conditions from 6 to 20m width. Pichon offers 18 models of muck spreaders from 8 to 24 cubic metres. Manufactured for professional purposes, it meet and exceeds the most demanding requirements in accordance with the natural constraints of spreading activities. The naming of the Pichon range muck spreaders is in accordance with the cubic capacity and the length of the machine itself. The cubic capacity is heaped level and takes into account the fact that there is a guillotine door on the machine. In addition to an incredible performance on the fields, you will be able to drive a machine which is as smooth on the road as it is on the fields. All the spreaders are equipped with reinforced axle with oversized breaks. As standard, they come with a fully sprung drawbar with multi leaf springs, truck lights and flashing beacon. To boost milk production, a dairy cow should be fed on dry matter like hay or silage and not green or fresh grass. Therefore, hay or silage, which in this case is already fermented outside its stomach will ease digestion. Hence the feed will be quickly digested and at the same time well utilised to increase milk output. The silage or hay should also include legumes, which provide proteins that are a major milk component. A dairy cow should also be fed a Total Mix Ratio, which is a feed made from a mixture of silage, hay, dairy concentrates and grains. This mix provides the highly required balanced diet to the dairy cow, hence the cow’s milk output will increase. A dairy cow uses a lot of energy to move and also make milk. So feeding it on molasses will provide it with energy since this sugary substance produces glucose. Molasses can be either mixed with hay or silage or fed to the cow exclusively. There are also livestock microbes. These boost the growth of microbial bacteria in the stomach. Once they grow well in the rumen of the animal, they will produce enzymes that eventually improve on the digestion; especially of fibrous feeds during dry seasons when feeds such as elephant grass and other pastures are more fibrous. These microbes break down the feeds given to the cow to increase its milk output. Comfort has a direct influence on how long cows are healthy and productive. You can do this by improving their environment. Your cows need a soft and clean resting surface plus sound footing. They should be able to behave naturally and stand or lie down easily. A dairy cow should be kept in a clean place with enough space. To enable it live in a comfortable place, facilities should be provided for it to sleep on. If a dairy cow is not comfortable, it will not relax as it will move up and down looking for somewhere comfortable enough to sleep. These movements will use up energy which it would have used in the production of milk. A dairy cow should be provided with adequate clean water if its milk output is to be high. This is because almost 90 per cent of milk is water. Hussein Kigozi, an animal husbandry expert, advises that the water source should not exceed five metres from where the animal is kept. If it is far away, the animal moves a long distance which drains the energy it would have used to make milk. For every five litres of water a cow drinks, it should give at least a litre of milk. Diseases have an impact on milk production. Therefore, effective disease control will ensure high yields. An unhealthy cow will not feed well and therefore not be able to produce enough milk. Also, it is important for a farmer to know which breed of cow he/she keeps. Is the breed meant for dairy or beef? Many farmers keep beef cattle thinking that they are for dairy. For instance, Friesian and Gernsey are good dairy breeds.